YourComicStory.com is a one-of-a-kind group of comic art enthusiasts. We may be nerds, but we are also Parents, Husbands, and even Marketers. One day we realized that comic books tell a better story. And the crazy thing is – you don’t have to be a fan of comic books to appreciate comic books. As long as you love stories and creativity – you’re hooked (as so many of our customers are). 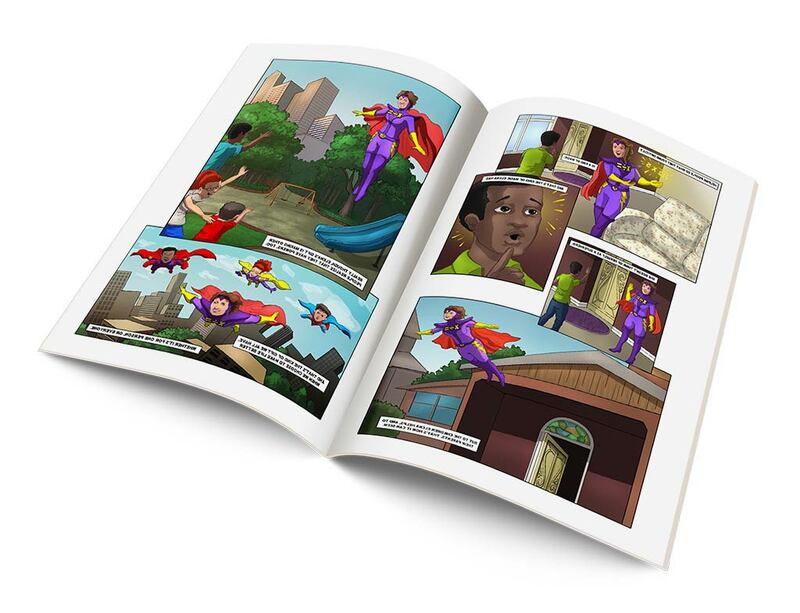 At first we just created personalized comic books for kids (because kids love fun, visual stories, and because every kid wants to see him- or herself as a real superhero). 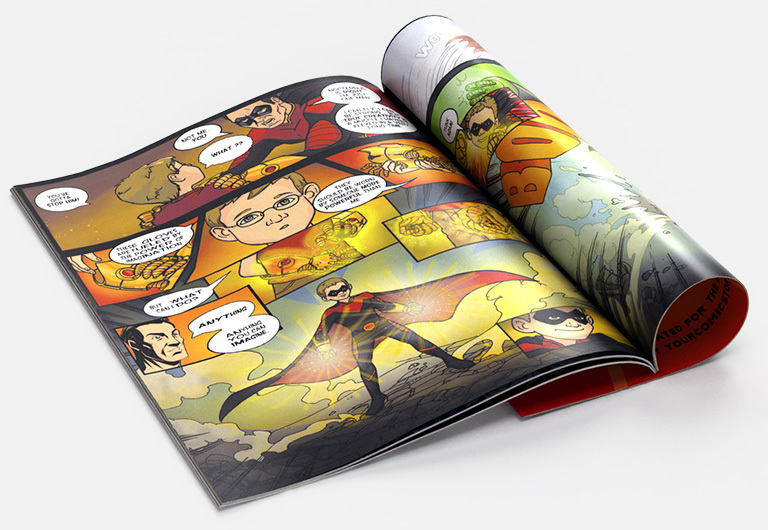 But then a weird thing happened – an order came in for a custom comic book for a boyfriend. Then another anniversary comic book request. And it just built up from a trickle to a steady stream. At the same time, people asked us to do wedding invitations, teaching stories, non-profit event programs, and other orders we’d never expect. In short – we realized that comic books do tell a better story – in such a diverse set of personal and business needs that we just can’t predict what kind of request we’re going to get. Just like we couldn’t predict the TV coverage we attracted. So here we are today – Your Comic Story is our way to help you channel your special occasion into a creative, fun story. Let us know and/or ask any question at info@yourcomicstory.com.